Plann, the multi-award-winning Instagram scheduling, strategy and analytics app that you know and love is now getting a fancy schmancy desktop version to make Instagram marketing even easier. 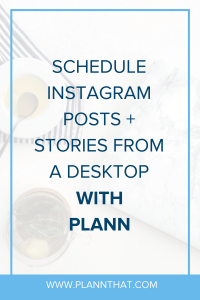 If you’re raring to go and want to learn how you can schedule Instagram posts from a desktop with the Plann web version, keep on reading. With the Plann web version, you’ll be able to access all of the existing Plann app features, as well as a bunch of exciting never-before-seen features. Want all the hot goss? Well, here it is. You’ll soon be able to schedule up to 120 Instagram feed posts in advance (from the comfort of your desktop). Also, you’ll even be able to plan out and schedule Instagram Stories. You’ll be guaranteed to make the most out of every piece of Instagram content. A filter says a thousand words… right? Well, in a wee bit you’ll be able to filter your photos to perfection from your desktop. And better yet – you’ll be able to edit them and organise content into a media library of your very own with customisable folders. If you are known for your amazing organising skills, Plann’s web version is going to become your new best friend for when you need to schedule Instagram posts from a desktop! PSSST -> Want to check out some of our FREE Plann filters? 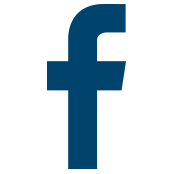 Click here to take a peek! If you’ve been searching for the perfect Instagram hashtags for hours on end and your eyes are getting sore, the big beautiful screen of the desktop version of Plann is going to be a total game changer. With Plann you’ll be able to research hashtags using our easy-peasy color-coded system which will tell you exactly which hashtags to use for massive growth. Yahoo! You’ll also be able to save your hashtags into customisable lists, with 30 hashtags per list. And, through Plann’s unique analytics we’ll let you know which of your hashtag lists give you the best results. Once you have your best hashtags, you’ll be able to schedule Instagram posts from a desktop like a pro. How freak’n awesome is that? PSSST -> Want to know more about how we help you to research hashtags? Click here for the goods! If you want to grow your Instagram following and increase engagement on every post, the best thing that you can do is review your analytics and refine your strategy with what you learn. With the new desktop version of Plann, you’ll be able to view advanced Instagram analytics including your best performing color palette, the location and gender breakdown of your followers and even your best times to post for every day of the week. Hallelujah! As always you’ll also be able to use Plann to find out the Instagram analytics of other (public) Instagram users. This means you can find out what hashtags, posting times and colors work well for your competitors. Sneaky right? PSSST -> Want to learn how to ‘read’ analytics so you can make the best decisions to grow your Instagram account? Here are our best tips! WANT TO SCHEDULE INSTAGRAM POSTS FROM A DESKTOP? If you can’t wait to get your hands on the shiny new desktop version of Plann, we can’t blame you! It’s pretty nifty. To be on the waitlist for when web launches (and have the chance to win Plann for free) make sure to sign up to our leaderboard game here. With our leaderboard, the more people you invite to join the waitlist the higher you will move ‘up’ in the ranking. The top 1000 people on the list at the end of September 2018 are going to win some exclusive prizes. Make sure to spread the word. 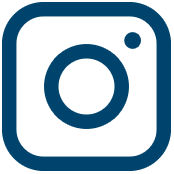 We can’t wait for you to be able to schedule Instagram posts from a desktop with the new Plann web version. Thank you for all your support to get us to this point, it means the world to us!